The Casio TK-3200 provides a two line display and two dot matrix 44mm printers. 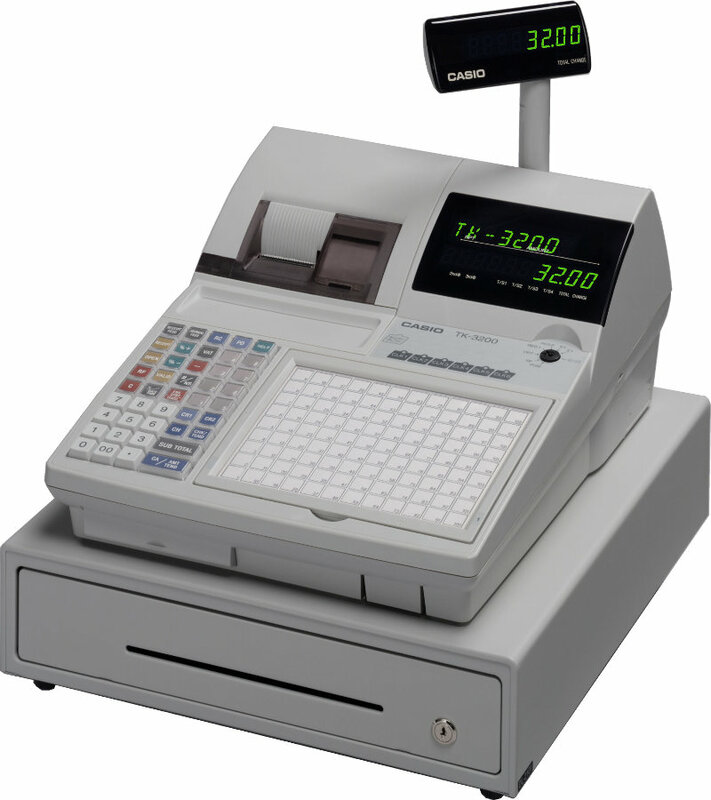 It can be configured to scan up to 5000 items and has table tracking and clerk interrupt facilities. It is best suited for hospitality and retail needs. Replace the battery every 5 years.